Google has responded to complaints about its approach to privacy by releasing maps with details of government censorship requests worldwide. Google's new tool lets users see the number of government requests that it has received from each country across the word to remove data or to get information about its users or has received court orders to remove content from YouTube or its search results. The new censorship mapping tool was announced on Google's official blog, following criticisms from privacy campaigners about the recently launched Google Buzz and ongoing concerns about privacy issues connected to Google Street View. The timing of the release of this new tool is said by Google to be purely coincidental, coming as it does at the same time as the recent privacy complaint from data protection authorities in the UK, Canada, Israel, France, Spain, Ireland, Italy, New Zealand, Germany and the Netherlands. Censorship details provided by Google on the new tool are based on government requests between 1 July and 31 December 2009. In the UK, there were 1,166 government requests for Google to provide data about users and 59 requests to remove web pages from YouTube or from Google's search results. 43 of those were about YouTube videos. Google says of its new censorship mapping tool: "We believe that greater transparency will lead to less censorship" although strangely enough doesn't show any data for China. Google's explanation for that being: "Chinese officials consider censorship demands as state secrets, so we cannot disclose that information at this time." 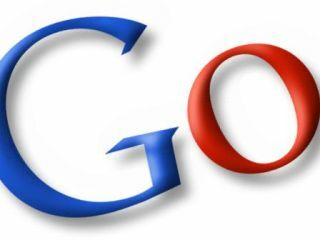 Google's chief legal officer David Drummond noted in a blogpost that: "The vast majority of these requests are valid and the information needed is for legitimate criminal investigations. "However, data about these activities historically has not been broadly available. We believe that greater transparency will lead to less censorship.